stronger then Lophophora williamsii and so more Mescaline. Originating in Torreon and El Ampero in the Mexican state of Coahuila the Lophophora decipiens is difficult to find in it's native territories. Growing this species at home has a two-fold reward. It helps preserve a threatened species and provides endless insights for the keen psychonaut. Overall this species is larger in every aspect to traditional peyote. The cactus bodies themselves are larger and grow faster. The white, pink or magenta flowers are also a larger flower with more robust petals. They can be easily grafted onto more virile growing species like Trichocerus for speedier growth. 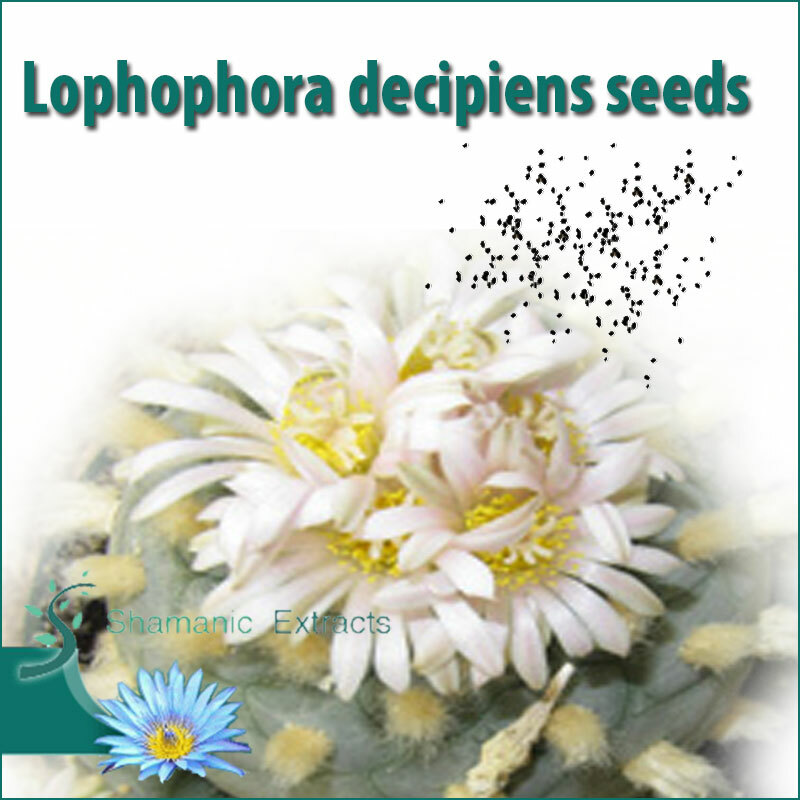 Share your experience about Lophophora decipiens seeds with other customers. Submit your tips or thought on this product, be detailed and specific.